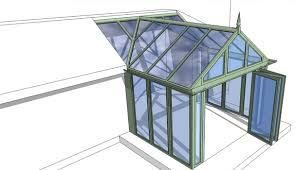 Whether you need a conservatory to extend a room, add a room or simply enjoy your garden. Why spend time finding a standard design to fit you space, when we can design, fit and finish a bespoke conservatory uniquely designed for your living space. Fensa Registered and with our work backed by Home Pro Guarantees our company boasts 30 years of glazing expertise and experience. Allowing you to buy with confidence. Workmanship excellent. Tradesmen were professional and efficient, leaving the premises in a clean and tidy condition. We would have no hesitation in recommending Nantwich Windows Limited. Nantwich Windows” men arrived promptly, and soon had my old, faulty window out before inserting a brand new excellent double glazed window-unit to my complete satisfaction. I thoroughly applaud Nantwich Windows” standard of work and capability at seeing a job well done, They even filled in the gaps between window and frame so no cold air could get in. Very polite men did a very good job. Left everywhere clean and tidy. I was confident leaving them alone to do the job. Know if I have any problems they will come back.